Not content with one Skills Route tool, we have taken feedback from students and teachers on board and developed two new ones. 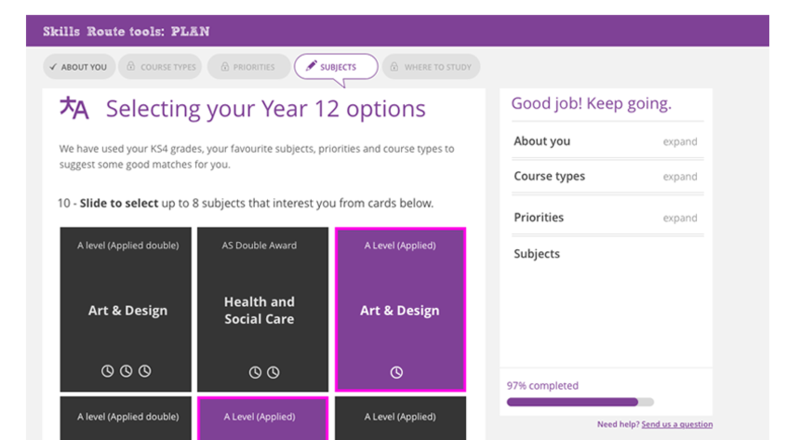 1 Skills Route PLAN helps students explore all the course options that are available for them to study after GCSEs. Using this online tool they can learn about and select courses that reflect their interests, ambitions and academic ability. 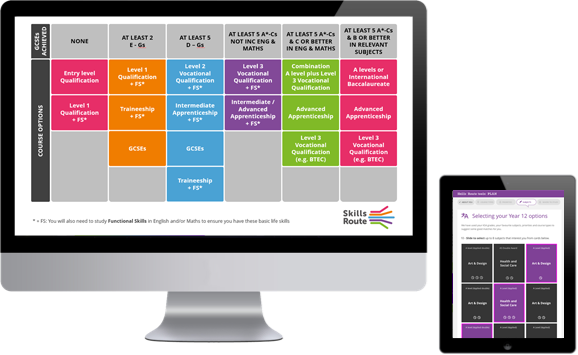 2 Skills Route FIND brings together lots of information into one place. 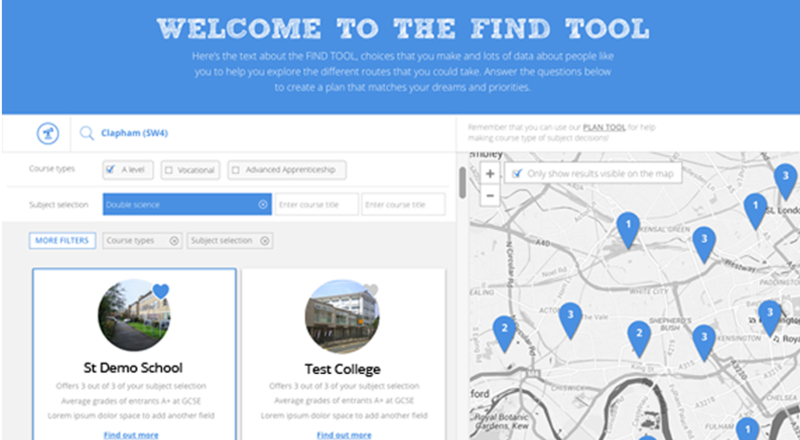 The simple website shows a student all the places where they can study locally and key information to help them shortlist options and apply.